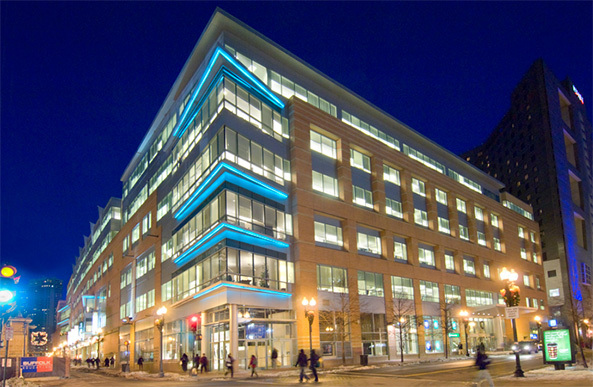 Lafayette City Center has completed an exciting transformation in concert with Downtown Boston. LCC is a six-story 615,000 square foot office and retail complex that has transformed into a vibrant mixed-use center. The Abbey Group assembled a world class team to complete a major lobby renovation. Visitors now experience a brightly lit and open new lobby with modern materials, sleek lines, a gracious new entry, and more. All that LCC offers is in the midst of an exciting downtown renaissance with an explosion of retail, restaurants, residences, culture and college expansions. Discover the style of the new LCC.